What makes Tasmania so unique you may ask? How does that grab you to start with? There's so much more. It cannot be summed up on one page. 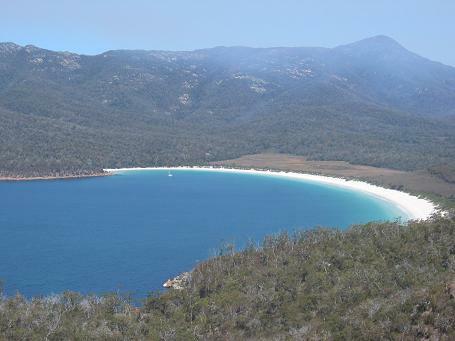 How can this breath-taking island, the smallest state in Australia, have so much to offer? It's hard to fathom unless you have spent some time exploring this incomparable island for yourself. 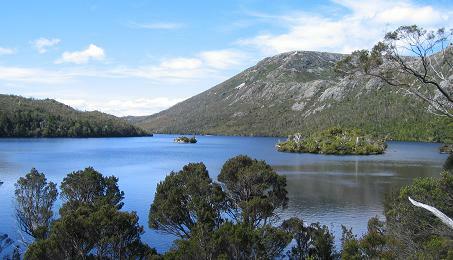 Tasmania has been described as an "island of contrasts". There is an immense variety of attractions to enjoy. How luxurious to be able to ask myself what I feel like doing, and then to be able to just go do it without too much trouble at all. Go for a bush walk? No problem. Watch some wildlife? Sure thing. Take a wine tour? Easy as anything. Visit a berry farm? Let's go! 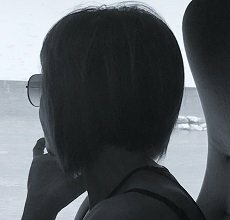 At times you will find yourself wanting to unexpectedly extend your visit at a special place that has captured your attention. Also, as you are getting around you will find yourself making unscheduled stops so that you can admire a view, take a photograph, watch wildlife, quickly check out something that's caught your eye (or maybe not so quickly on closer inspection) and more... So be prepared to need more time here than you might think. This extraordinary island is mainland to other unique islands like Bruny Island, Maria Island, Flinders Island and King Island. Even more reasons why you will need more time for your Tasmanian adventures. I have heaps more to tell you. Which is why this page is not enough. Visit the other pages where I get to do something I truly love - talk about what makes Tasmania such an unrivalled destination. Getting to Tasmania involves travelling from mainland Australia, either by air or on a Spirit of Tasmania vessel. My comparison table will help you decide. Tasmania car hire is a smart option if flexibility is high on your list of priorities. But there are other ways of traveling around Tasmania too. What are Tasmania hotels like? You can find accommodation ranging from luxury to budget, depending on where you are staying in Tasmania. No matter where you begin your journey in Tasmania, you will not be far from wonderful places to visit. Planning a Tasmania holiday? Wondering about things to do in Tasmania? No Tasmania holiday would be complete without checking out some of these enjoyable activities. Try something new and exciting for the very first time! Enchanting Hobart, located in south-east Tasmania, is often regarded as the most picturesque of all the capital cities of Australia. Interesting Tasmanian events take place throughout the year. Plan your visit to Tasmania so you are in attendance on one or more of these special occasions. Tasmania's Aboriginal history dates back 40,000 years. Tasmania's Aboriginal history can be traced back to when the first Tasmanians came to the island over a land bridge from mainland Australia. Convict history informs us that life for convicts was not easy. Yet convicts were somehow able to build so many remarkable structures still admired today. Tasmania real estate represents some of the best value property in Australia, compared to say, New South Wales, Victoria and Western Australia. The Tasmanian devil is one of the most well-known Tasmanians. The Tasmanian devil is not just a ferocious yet endearing cartoon character. This is a very real creature, found naturally only in Tasmania. The Tasmania Attractions Blog keeps you up-to-date with all additions and changes to the tasmania-attractions.com website. There are a few bonuses included too. Subscribe here. Get Tassie On My Mind, the free monthly newsletter from tasmania-attractions.com, for even more information on what makes Tasmania unique in all the world. Wish to contact me? I'd love to hear from you. Feel free to contact me. I hope you're enjoying Tasmania-attractions.com. At the same time I always welcome your questions and feedback. The island of Tasmania holds a very special place in my heart. The island of Tasmania is one of my favourite travel destinations. I love telling people why I think it's so special. Want to hear more?